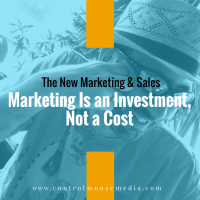 Marketing is more than just reaching people. The “reaching” part is easier than it’s ever been – and largely free now. Awareness about you or your brand is important, but you are throwing money away if you stop at the awareness phase. Customers: The investment in customers is the best thing you can do for your business. But it’s not just about reaching customers so that they pay you. It’s about reaching them – and connecting with them – so that they create more customers for you. That’s content strategy – thinking long term, going in with a plan, and working towards converting your customers into advocates. 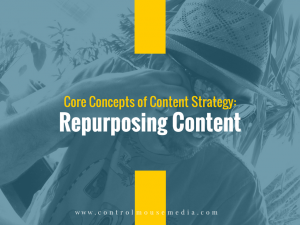 Core Concepts of Content Strategy: Repurposing Content. Repurposing content is one of the single biggest things you can do to impact your business. If you can do some planning up front, you can think a few steps ahead and save yourself valuable time – while building a set of content as a business asset. The episode in the series called, “Repurposing Content to Create an Online Course” has been my most downloaded episode this year so far! Subscribe here (and select podcast / every new post) if you’d like to be notified as soon as new episodes are published. Published July 24, 2017 by Michael Boezi.